Home » Moving insurance – why is it important? Before we move, we constantly wonder about the moving insurance and the safety of our belongings during the move. Most of the unsatisfied customers make numerous complaints to authorities for damages during relocation. That is why we wondered about the ways to protect your move and to prepare for this kind of situations. The most important thing is to get informed and know your rights when you hire the moving company to transfer your belongings. There is a number of things to consider before you hire movers in Mississauga you like. Consider conducting the thorough search of your movers before you make a decision. Certain professional moving companies have stellar reviews. Also, those reputable moving companies put their customers first and they don’t have any official complaints. On the other hand, when you hire one of these companies with years of experience, you can be more relaxed because they are used to handling various belongings. Is valuation coverage moving insurance? In the moving contracts, you can find that reliable moving companies offer liability. In the moving contract, that is valuation coverage. 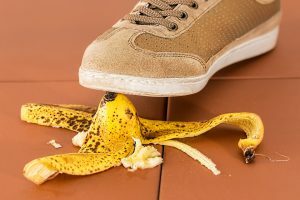 It shows the amount of liability the moving company is willing to accept in a case of damage or loss of your belongings. Each liability level determines how much the movers will reimburse you if something happens. These liability options may provide limited coverage. It is important for users to understand that valuation coverage is not the moving insurance policy. Most people make mistake and think that is the same thing. What valuation coverage will not cover? If anything happens to your items when they are outside of the mover’s control, you may not be able to get a refund for damages. Not all of your items that movers load onto the moving truck are covered by the mover’s valuation. If anything happens to your items when they are outside of the mover’s control, you may not be able to get money for damages. There are also other situations that can limit your mover’s liability. One of those situations is if you pack your belongings by yourself. Most professional movers include professional packing in the final price of the move. Some high-quality movers offer professional packing supplies in Toronto for your relocation. If your movers don’t pack your belongings, it is more difficult to determine if your items are damaged during the move. Also, the reason for the damage may be unprofessional packing or they already are damaged before packing. According to the FMCSA – Federal Motor Carrier Safety Administration, your movers may not be liable if the damage to your items is caused by the “Act of God”. If the reason for the damage is “mother nature” and a fire, hurricane, earthquake or a tornado, your moving company will not be reliable. 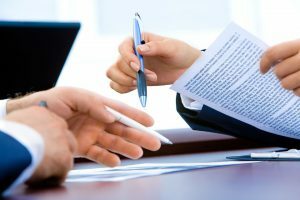 What to check before you sign the official contract? Before you sign the official contract with your movers, check everything in detail. Before you hire any mover, make sure to read the contract and check it in detail. Various moving companies will offer different terms. That is why you should be careful because sometimes if the damage happens, it can be your fault, the moving company is less reliable. That is why you should let your movers know in writing that you have items of high value among your belongings. Also, if the damages happen, you should report it right after the move. You should check with your company about the terms of this particular situation. That will help you be more prepared if a situation like that happens. Also, if you pack any perishable foods, hazardous materials or household machinery that works with fuel, they may not be reliable for damages that might occur. Keep in mind that most movers won’t move certain items because of various safety standards. That is why you should ask your mover about the list of items they don’t move if you plan to pack by yourself. How can you protect your move? The best way to be sure that your belonging will be safe during relocation is to hire a reliable moving company like High Level Movers Toronto. Along with hiring a reliable moving company, there are other ways to ensure your move. You can buy additional moving insurance for your move. Most reputable Toronto movers will offer additional moving insurance policies for your move. The additional insurance policy may cover your items while in transit. Also, it covers your items while they are in storage up to 90 days. Getting additional moving insurance while moving is useful when you handle your move and pack by yourself. 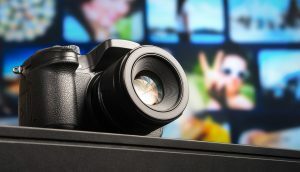 Consider taking pictures of your items before the move. You may need them in a case you have to file an insurance claim. There are other ways to make sure your items are safe during the move. You can take pictures of all of your belongings before the move. That way you will be sure you have evidence in case something happens during your items relocation. If you have to make a claim, you can show photos taken before and after the move. If you pack by yourself, do it very carefully. Consider using professional packing supplies. Also, make sure to use protective materials to secure all of your items the best way you can. Before your movers load them onto the moving truck, consider labeling all the boxes. Another way to make sure your items are safe during transport is to use professional storage service Toronto. If you move long distance, sometimes getting storage is necessary. Consider getting all the information you can about the storage providers. On the other hand, make sure to choose the storage unit that suits your needs. Your mover may also offer storage services solutions after you hire them. That is why you should know all about the company you hire before you sign the final contract with your movers.